"Casey is a true craftswoman, a writer who beguiles one through the most twisted of plots with a confident and seductive hand. 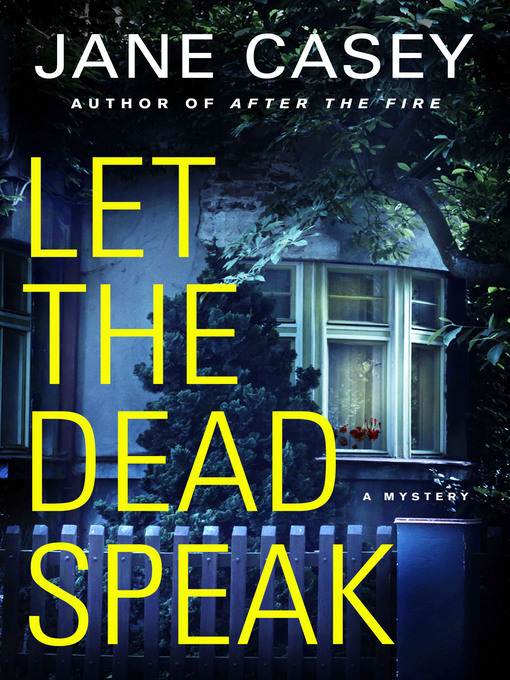 Let The Dead Speak is sharp, complex and gripping to the very end"
London detective Maeve Kerrigan and the homicide team turn their attention to the neighbours. The ultra-religious Norrises are acting suspiciously; their teenage daughter and Chloe Emery definitely have something to hide. Then there's William Turner, once accused of stabbing a schoolmate and the neighborhood's favorite criminal. Is he merely a scapegoat, or is there more behind the charismatic façade?